The First Nation Adult & Higher Education Consortium (FNAHEC) develops courses on Cosmology, Blackfoot Epistemology and other Blackfoot Knowledge for online delivery. These courses contribute to understanding among the Blackfoot people of their origins, culture, and language and developing positive self-concepts. Blackfoot knowledge is not readily available except through local oral histories facilitated by instructors who are called Knowledge Keepers and ceremonial bundle holders. FNAHEC offered workshop to 1,100 people, who shared their knowledge and information with more than 2,200 indirect beneficiaries. 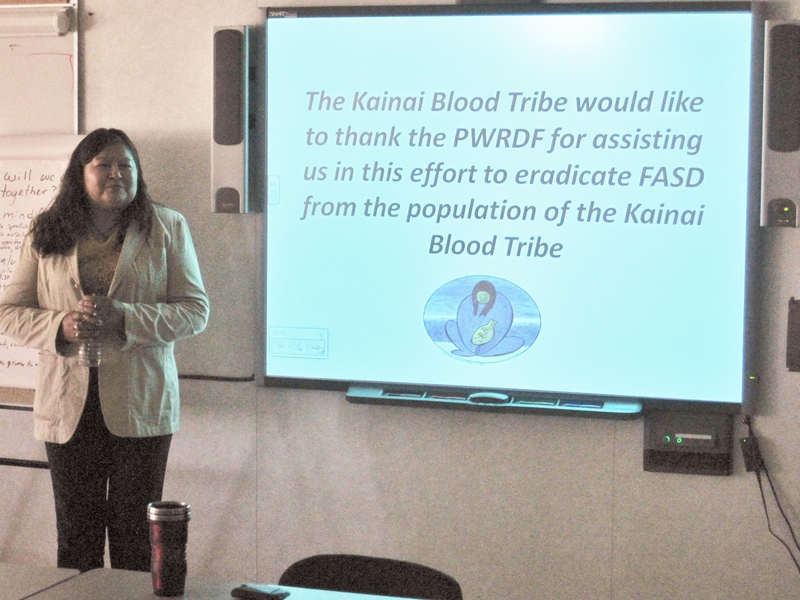 A cumulative 7,800 people have been exposed to the teachings of FNAHEC. The students who took the courses, or are currently enrolled in onsite courses, expressed their gratitude for learning about their history and regained some of the traditional Indigenous knowledge. A reawakening is happening amongst Blackfoot youth. For instance, some are joining cultural and ceremonial groups and ensuring the revival of these ancestral traditions for, by and with their communities. A key activity for FNAHEC was organizing agreements to transfer the credits earned through these courses to mainstream institutions. Thus far, 17 of these courses are transferable to Athabasca University and the University of Calgary. An additional six courses are near completion and will be piloted in the 2016-2017 school year and subsequently transfer requests will be submitted. The local community and regional government educational authorities have recognized FNAHEC as a point of reference in terms of Indigenous language, curriculum development and traditional knowledge.